← We got a new pet, and it cleans up after itself! Meatless Monday, just add meat. The other week I announced to Ben that we should start doing “Meatless Monday”. I have since been asked why I decided this and whether it was for “health”, “ethical” or “financial” reasons. I answered “a combination” but the real reason was “amusement at Ben’s reaction”. After a fairly long discussion, Ben announced that he was “Only joking” and he “didn’t mind vegetarian dishes at all, as long as they contained a bit of meat.” I told him I don’t think vegetarian means what he thinks it means. 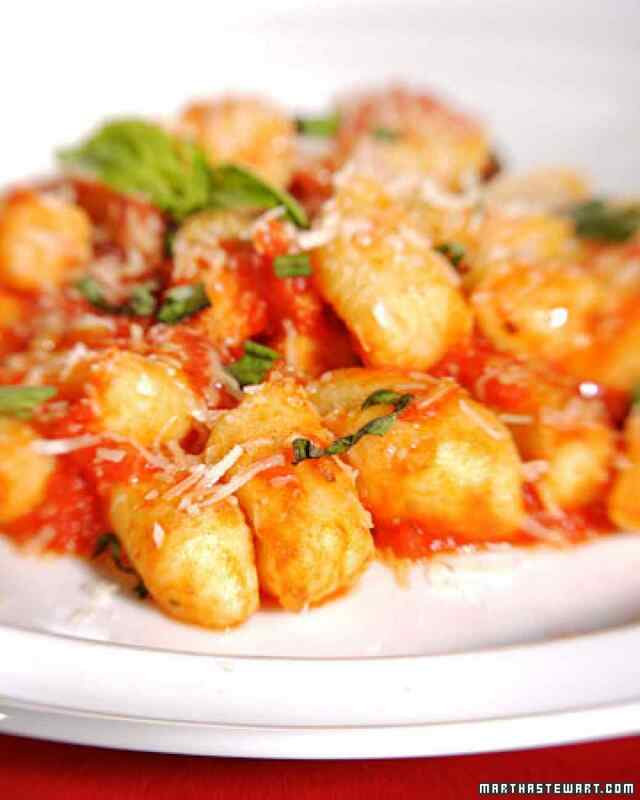 This is not my gnocchi. It is Martha Stewart’s. But mine totally looked almost exactly like that. Probably even better, but I forgot to take a photo of it while I was singing all the praises of Meatless Monday to Ben.